Invisalign has many benefits for patients who would like straight teeth without the hassle and pain of traditional braces. 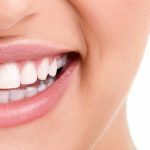 However, there are many misconceptions about the differences between Invisalign and wire braces (you can read about them here). 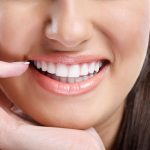 Therefore, one of the most common Invisalign questions that we receive is about the diet associated with this treatment. This is an excellent question, as there can be a considerable time commitment involved with choosing Invisalign to gain straighter teeth. While there aren’t the same dietary restrictions that exist with traditional braces, there are some important guidelines to keep in mind. To begin, it’s often a good idea to remove the aligners whenever you eat or drink. While you may be able to keep them in while drinking neutral liquids, such as water, they should be taken out to drink coffee, tea, and red wine, which can stain the trays themselves. Furthermore, hot liquids may cause the product to warp, resulting in reduced effectiveness. In the end, it may be better to just remove the aligners, as most liquids, other than water, can seep in between the trays and your teeth, causing tooth decay. Finally, it’s very important to brush your teeth each time you eat or drink to reduce decay and staining, a good habit for anyone, regardless of whether you’re using Invisalign or not. If you have any questions about Invisalign or would like to schedule a free consultation, please contact our team or make an appointment and our incredible staff will give you the best dental care possible. The contents of this website, such as text, graphics, images, and other material contained on the Site (“Content”) are for informational purposes only. No doctor/patient relationship is established by your use of this site. No diagnosis or treatment is being provided. The Content is not intended to be a substitute for professional medical or dental advice, diagnosis, or treatment. Always seek the advice of your physician, dentist, or other qualified health provider with any questions you may have regarding a medical or dental condition. The information contained here should be used in consultation with a dentist of your choice. No guarantees or warranties are made regarding any of the information contained within this website. This website is not intended to offer specific medical, dental or surgical advice to anyone. Further, this website, the creators of the website, and the owners of the website take no responsibility for web sites hyper-linked to this site and such hyperlinking does not imply any relationships or endorsements of the linked sites. Reliance on any information provided by the Site or others appearing on the Site at our invitation, or other visitors to the Site is solely at your own risk.